Titleist Golf - Our golf pro Michael Basch is a Titleist rep. If you come to the golf shop at Clifton Springs Country Club, you can schedule a time to get fitted for any Titleist gear. Clubs Michael sells includes but are not limited to Drivers, irons, woods, hybrids, wedges and putters. The putters affiliated with Titleist are Scotty Cameron. Along with Scotty Cameron, the clothing affiliated is Foot Joy. For more info on Titleist and Scotty Cameron golf clubs, head over to http://www.titleist.com/ and https://www.scottycameron.com/. For info on Foot Joy clothing and shoes, head to www.footjoy.com/. All of these products can be brought in to the golf shop by Michael. One of our partners is Go Golf U.S. - They are a mobile app who is building the game of golf locally in Rochester and surrounding areas by giving discounts to golfers. 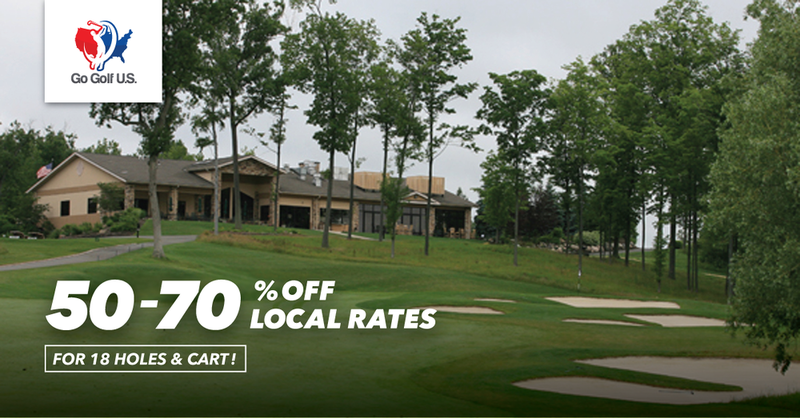 These discounts help both courses and players. The deals are during off peak times so courses can maximize their tee sheet. Deals are offered to golfers to create incentive to get out and play more golf.